Animal rights group The Chimpanzee Collaboratory is in an uproar over the exploitation of chimpanzees in the Careeerbuilder.com ad that aired Sunday on the Super Bowl. The Chimpanzee Collaboratory asked Careerbuilder.com to remove the apes from its ads back in 2005, but they have continued to use them nonetheless. In the past companies such as Keds, Puma, HomeUSA Warehouse, and Honda pulled ads featuring great apes after learning of the cruel training practices. 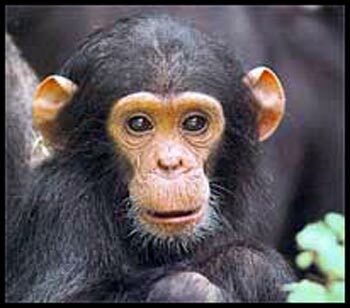 When chimpanzees are used for entertainment purposes, they are snatched from the mothers at a very young age, leaving lasting psychological damage. Then, it has been documented that chimpanzees are treated very badly in their 'training'. There has been reports of incidences where the apes have been hit and beaten, sometimes with hammers and mop handles. As well, when their 'star career' is over, they are left in shoddy roadside zoos and abandoned. While films can use the American Humane Association's stamp of approval that 'no animals were harmed in the making of this movie', the same does not apply to television commercials. For this reason the manner in which these chimpanzees were treated is uncertain. The Association is also limited in its protection, as it does not examine how animals are treated in pre-production, where most of the abuse takes place, or how they are taken care of after their careers. Many apes are used as animal experiments, packed into cages in rows or left in shady zoos, as they are considered 'psychotic' and do not mix well with the other apes. Ironically, the American Humane Association is the only major animal protection organization that has not called for the end of the use of apes for entertainment purposes. The Chimpanzee Collaboratory has applauded Peter Jackson for not using any real apes in Kong, however it seems that they have ways to go in order to spread awareness of the mistreatment of apes to the public. The Collaboratory is urging concerned consumers to contact Careerbuilder directly to let them know they are disappointed that they would continue to use chimpanzees in their ads after being informed of the cruelty inherent in their training. Just a few days ago Conmcast Cable contacted the Chimpanzee Collaboratory to inform them that they would no longer be using chimps in their ads. I decided to call up Peter Krivkovich, president and CEO of Cramer-Krasselt, the ad firm behind the CareerBuilder.com Super Bowl ad to find out what he knew about the treatment of these animals. He wasn't available for comment, however I spoke briefly with Richard Castellini, Vice President for Consumer Marketing at Careerbuilder.com and he directed me to the Corporate Communications Manager, Michael Irwin. At this time, I do not have an answer as to how the animals were treated, however, I will keep you posted as this unfolds. I refuse to believe all animals we see on tv ads are subjected to cruel living conditions. I think some of them actually benefit from their tv exposure. Didn't the famous Telus hippopotamus get a new and improved home in the Fraser Valley after it was in the spotlight?